Bulgaria is a health tourism destination. 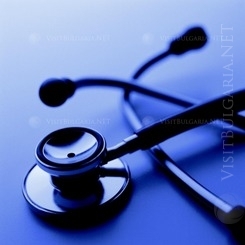 Bulgaria is ranked among the countries with the best chance for development of health tourism. Bulgaria is among the countries, that combine excellent quality of medicine service at very competitive prices. Thus the country hold a high chance to transform into a preferred destination for health tourism. This was pointed by Reuters and the Independent daily, based on a study by the Economist Intelligence Unit based in France. More recently, cross-border travel for fertility treatment, plastic surgery, dental and other treatment has been increasing, bringing with it fears about patient safety. Medical tourism has long been a feature of healthcare, but it has largely been the preserve of wealthy patients from developing nations who traveled to western hospitals to get the best treatment they could buy. However scientists warn that medical tourism holds some risk of spreading dangerous bacterias around the world. In 2013 the European Union will apply a new directive, that patients, who have received medical service in other European countries will have the chance to refund the expenses. This directive will increase the tendencies for health tourism.